Be the first to share your favorite memory, photo or story of Rachel. This memorial page is dedicated for family, friends and future generations to celebrate the life of their loved one. 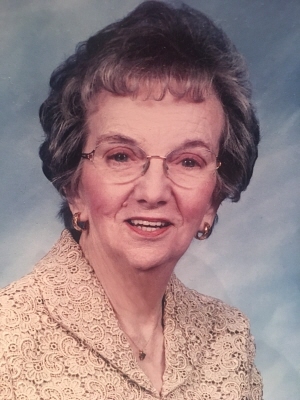 Rachel Ann Sandretti, née Shaughnessy, 91, passed away March 14, 2019. A devoted wife, mother and grandmother, Rachel was an accomplished dairy farmer who loved the land, their animals and our country. Born in LaSalle, Ill. August 8, 1927, daughter of Thomas and Anne Shaughnessy, Rachel was raised on her parents' farm, located on what is now Starved Rock State Park. She was united in marriage to the love of her life, John "Skip" Sandretti, in May of 1950. When Skip returned from service in the US Air Force during the Korean War era, they became dairy farmers near Watertown, Wis. In 1967, they moved their family dairy operation to Iron Ridge, Wis. where they lived for 20 years. Married for 49 years, Skip preceded Rachel in death on January 16, 1999. After Rachel and Skip left the dairy during the depths of the1980's farm crisis, Rachel took up a new passion: caring for the elderly. First, at the Tri-Manor senior home in Hartford, Wis. then, as the primary caregiver for her mother-in-law, Catherine Sandretti in Lebanon, Ill. In 2013, Rachel returned to her beloved Wisconsin to reside with family in the village of Fox Point. Rachel, who after high school worked in the local USDA field office during the Truman Administration, and Skip, whose grandparents included Italian immigrants and a prominent Irish-American farmer rights advocate in the 20's and 30's, passed on the values of justice, fairness and honesty to their five children, 9 grandchildren and 2 great grandchildren. Rachel was an avid sports fan, especially baseball, rooting for the St. Louis Cardinals, who she followed since she was a girl, and her adopted favorite, the Milwaukee Brewers. Above all, Rachel loved spending time with her grandchildren, nieces and nephews. Rachel will be missed by the family she leaves behind. She is survived by her brother-in-law Bill Sandretti, and loving children and grandchildren: son Tim (and his wife Barb) and their children Anna Criswell and Madeline Sandretti-Small; daughter Maryanne Sandretti (and her husband Alan Madison) and their children Sam and Eleanor Madison; son Joseph (and his wife Margaret McBride) and their children Isabel and Rachel Sandretti; son David (and his wife Nan Gibson) and their daughter Grace Sandretti; son Jeremy (and his wife Cheryl) and their children Kaylie Heider and Jared Sandretti; and great grandchildren Nolan and Cian Criswell. Memorial Mass of Christian Burial will be celebrated at Resurrection Catholic Church (215 Main St., Allenton) on Saturday, March 23 at 1:00 PM with the Very Rev. Fr. Richard Stoffel presiding. Visitation for family and friends from 11:00 AM - 12:45 PM. In lieu of flowers, gifts in Rachel's name may be made to Horizon Home Care & Hospice, Mequon, Wis.
To send flowers or a remembrance gift to the family of Rachel Ann Sandretti, please visit our Tribute Store. "Email Address" would like to share the life celebration of Rachel Ann Sandretti. Click on the "link" to go to share a favorite memory or leave a condolence message for the family.